Hello everyone. Welcome to the twentieth installment of my creative world that I call Resonance Reflection Photography. My name is Marcel Comeau, and I'm a landscape photographer based in Vancouver Island, British Columbia, Canada. Each week I post my work online for the world to see and enjoy. This week's photo was taken out in Sooke while I was heading out to explore some of the beautiful coastal views the area has to offer. I was filming boats in the water for my travel vlog when I noticed the wooden landscape behind me and just how beautiful it was. It was in the summertime, so the colors were vibrant and full of life. I ended up admiring a composition that was behind the camera. When I was done filming the shot, I turned the camera around and took the photo that ended making it on the internet. I find myself at times where an opportunity presents itself with little to no warning. I had an agenda for the day, and nowhere throughout my plans did I have the intentions of taking photographs of the dense forests that lay alongside the south-west side of the island. Now I never eliminate the idea of straying away from my initial task, because in the case like this moment and many moments throughout life, opportunities come and go, it's what you make of it that creates an outcome. The effects can be small, or monumental for the course of your future. Always stay receptive to opportunities, you never know when they can appear. Location: East Sooke Park. Vancouver Island, British Columbia, Canada. and try your best to acknowledge that time is fleeting, and so does the light of consciousness that's embedded within us. Thank you so much for taking the time to listen to me, and I hope to hear from you soon. Take care. Hello everyone. Welcome to the eighteenth installment of my creative world that I call Resonance Reflection Photography. My name is Marcel Comeau, and I'm a landscape photographer based in Vancouver Island, British Columbia, Canada. Each week I post my work online for the world to see and enjoy. This week's photo was taken out late in the fall season at Englishman River Falls. I visited the area early in the middle of the summer, and my last recollection of the beautiful landscape was a lovely waterfall that had a soothing soundtrack alongside the visual pleasures of the rich forest that surrounds it. Fast forward to November, and the same scenery changed dramatically. The gentle waterfall I recalled became an immense powerhouse of a water source surging down into the river below. I was taken back by how much volume of water was falling within a location that initially was a completely different entity altogether just a few months ago. It's one of the many faces of nature that we're privileged to witness. As the season's change so does the energy within spaces we explore. The vibrancy of the spring and summer season disappears as the fall and winter weather takes its course. The dynamics we experience throughout the year are remarkable. We get to watch various forms of life change and adapt to the climate as it progresses from one pattern to the next. The example of one of the pleasures I get from doing landscape photography is having the ability to visit a location more than once but see a different pallet of nature to capture. The versatility and eternal progression nature produces provides another incentive among many for my creative journey to continue. Thank you so much for taking the time to listen to me, and I hope to hear from you soon. Take care. Hello everyone. Welcome to my sixteenth installment of my creative world that I call Resonance Reflection Photography. My name is Marcel Comeau, and I'm a landscape photographer based in Vancouver Island, British Columbia, Canada. Each week I post my work online for the world to see and enjoy. This week's photo was taken out by Nanaimo Lakes. As I was exploring this new area, I couldn't help but enjoy the view of the river that goes from one lake to another. The day had overcast, and there was no wind which made the water calm. One of the first things I noticed from the image was the reflection of the trees on each side of the river and the beautiful lines they were creating. The sound of the streaming river was soft and overall gave off a peaceful atmosphere to work in. As I gazed at the landscape that surrounded me, I couldn't help but think of who else took the time and looked at this natural feature before me. The different walks of life that have passed by or potentially lived and died here. It's incredible to think that many areas we would think wouldn't retain any inherent value when in fact could have a vast history we just don't know about. I also think about the possible lessons that could be taken away from the individuals that wandered throughout these vast lands. What could they teach us? What value could they provide the future generations? As I packed up my gear, I took one last look at the area and continued on my journey while capturing a memory for other explorers to experience. Thank you so much for taking the time to listen to me, and I hope to hear from you soon. Take care. Kinsol Trestle. Vancouver Island, British Columbia, Canada. Hello everyone. Welcome to my fifteenth installment of my creative world that I call Resonance Reflection Photography. My name is Marcel Comeau, and I'm a landscape photographer based in Vancouver Island, British Columbia, Canada. Each week I post my work online for the world to see and enjoy. This week's photo was taken out by the river that passes underneath the Kinsol Trestle, located in the North Cowichan area. The setting was exceptional, it was one of the first snowfalls that I got to witness on the island, and the temperature was comfortable. I wanted to get winter shots of the area since the only time I experienced this location was in the summer. The running river had a great tone, soothing to listen too. I got out my camera and played around with different compositions of a massive tree trunk laying maybe ten to twelve feet above the water. I got down to the ground, I stood on top of a nearby boulder, I played with shallow and deep depts of field, anything to get an idea of what I wanted to create. Taking the time to experiment like this is what I love doing when it comes to the creative process. When you have a vision you want to create, dedicating focus and imagination within the fold of your perception at that given is a blast and vital to gaining the results you want to achieve. There are times where nothing works, and it seems the whole experience is a complete waste of time. Days like that are inevitable, but even in the worst circumstance, there's always at least something to take away. You can gain a lesson from the situation, or see a different view from the original idea you first came in with, or just get a taste of an inquiry you were curious to figure out. All this can help guide you to having a better opportunity the next time around, and provide the skill sets necessary to continue your personal journey. Location: Morton Lake. Vancouver Lake. British Columbia, Canada. Hello everyone. Welcome to my fourteenth installment of my creative world that I call Resonance Reflection Photography. My name is Marcel Comeau, and I'm a landscape photographer based in Vancouver Island, British Columbia, Canada. Each week I post my work online for the world to see and enjoy. 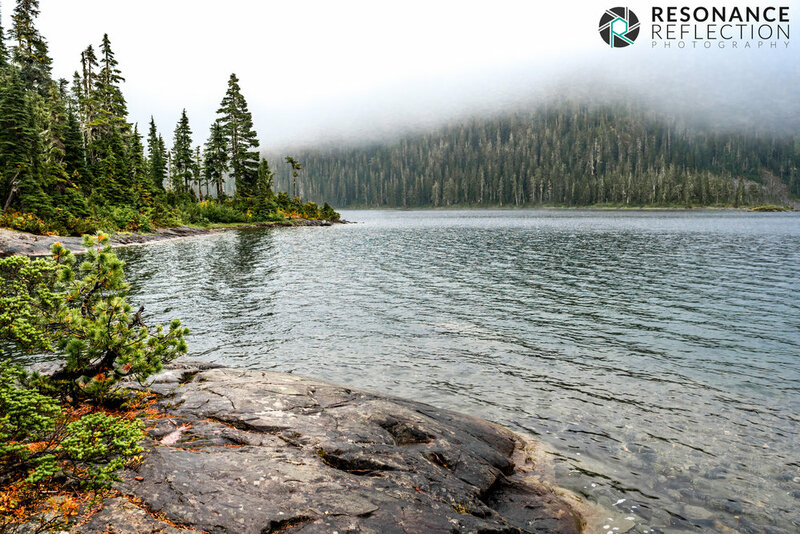 This week's photo was taken out by Morton Lake, outside of Campbell River. I was ending my day watching the sun setting slowly over the calm water that reflected the surrounding landscape. The summer weather created a comfortable and warm environment to enjoy the beautiful natural feature that sat in front of me. Seeing the mountains from a distance rippling over the water reminded me of taking time to reflect on myself and where I'm at in my current state of life. It doesn't take a whole lot to lose track of yourself when you get caught up in the midst of working towards an objective you want to reach. Moments like sitting next to the water gives me the ability to slow down and establish the time to assess and make sense of what I've accomplished so far. It's a healthy practice to embed in your ongoing journey towards your goals. As the sun disappeared over the horizon, I felt refreshed and ready to continue my progress I've accumulated throughout my creative journey. Thank you so much for taking the time to listen to me, and I hope to hear from you soon. Take care. Location: Stocking Creek. Vancouver Island, British Columbia, Canada. Hello everyone. Welcome to my thirteen installment of my creative world that I call Resonance Reflection Photography. My name is Marcel Comeau, and I'm a landscape photographer based in Vancouver Island, British Columbia, Canada. Each week I post my work online for the world to see and enjoy. This week's photo was taken out outside of Ladysmith at Stocking Creek Waterfall. The day started off with little drizzles of rain that would come and go, giving me a chance to have a break away from the wet weather. I'd seen great pictures of this area, and by the time I arrived at the river that leads to the waterfall, I wasn't disappointed. The overcast weather gave off soft lighting over the landscape. As much as I enjoy the sun and the bright blue sky, there's nothing like a grey day over a brightly colored piece of nature. As I was taking long exposure shots of the smaller waterfall, I admired the creation the running water had molded through time. It reminded me that there are things in life that require time and perseverance with consistent work to gain results. When you take shortcuts, there's a strong possibility you'll attain very little in return, you get in return relative to the amount of effort you dedicated to the practice. Make the conscious choice of doing what's necessary for your journey to flourish, even if it means taking a moment in your life and focusing on minuscule tasks that seem redundant at the present moment. Those little steps become a part of the momentum that'll propel you towards where you're standing now to the objective you want to reach. Again, thank you so much for taking the time to listen to me, and I hope to hear from you soon. Take care. Hello everyone. Welcome to my tenth installment of my creative world that I call Resonance Reflection Photography. My name is Marcel Comeau, and I'm a landscape photographer based in Vancouver Island, British Columbia, Canada. Each week I post my work online for the world to see and enjoy. 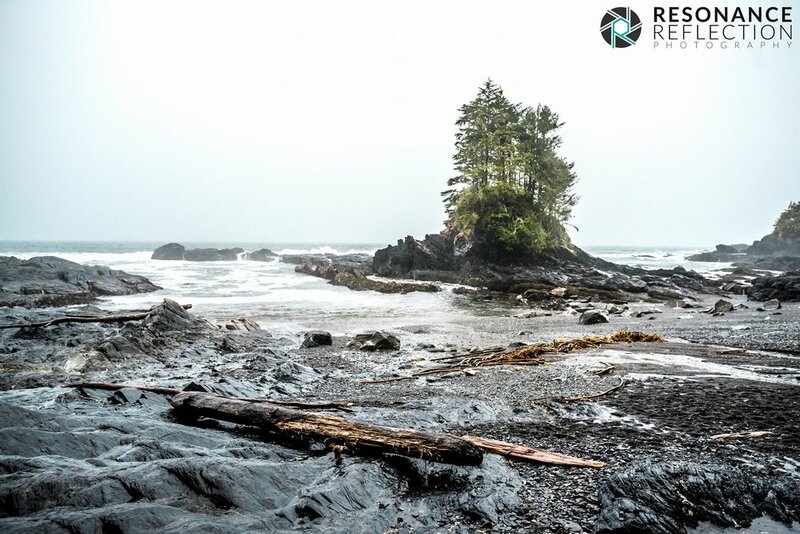 This week's photo was taken out in Botanical Beach out in Port Renfrew. The west shores of the island are amazing. One of the biggest reasons I love coming out here is because it reminds a lot of the beaches from my hometown out on the south-west shores of Nova Scotia. The various rocky surfaces that lead to sandy beaches remind me a lot of my younger years while exploring the wondrous landscape of the East coast. It was a miserable day to take photographs. It was rainy, and it was windy. Weather like this makes it a little challenging with photography, but if you persevere and take your time, the results can be beautiful. Even within the less than ideal environmental conditions, there is beauty to be found. Again thank you for taking the time to listen to me today, and I hope to hear from you soon. Take care. Hello everyone. Welcome to my tenth installments of my creative world that I call Resonance Reflection Photography. My name is Marcel Comeau, and I'm a landscape photographer based in Vancouver Island, British Columbia, Canada. Each week I post my work online for the world to see and enjoy. 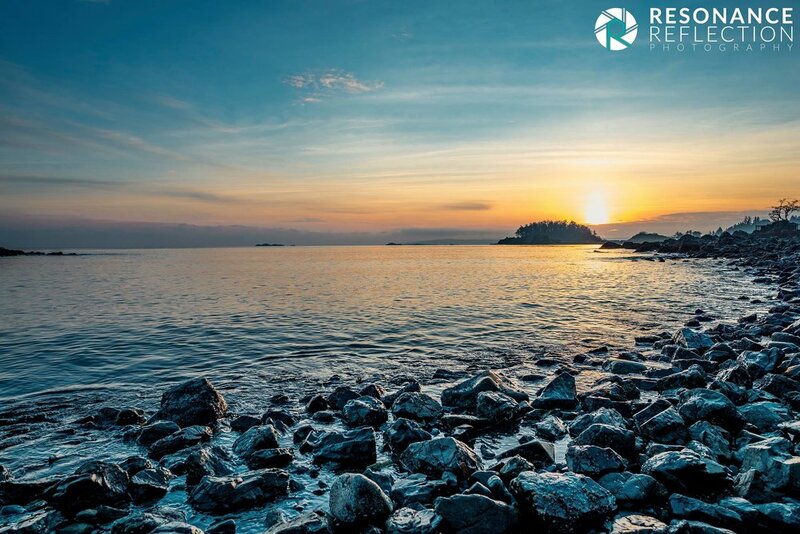 This week's photo was taken out in Nanaimo in Neck Point Park. I happen to be in the area early in the morning, and I couldn't have asked for ideal sunrise weather. Not a cloud was in sight, there was no wind, and the temperature was perfect. I came in before the sun started showing over the horizon, so it gave me a moment to take in the quiet atmosphere and reflect on the traffic that was going in my head. I try to plan as much as possible when it comes to creating new content. I make an effort to have all my gear clean, charged, and ready to be used. I bring various types of clothes and food just so I'm prepared to take on an opportunity when it arises. I look up the weather forecast to help figure out what type of day I'll work in. Pre-planning is essential, but when everything is all staged and ready to go, the creative process from that point on is all on the fly. I have a general idea of what I want to film and shoot throughout the day, but I try my very best to let the moments become the director and curator of what ends up being the final product. Let your creative juices flow when you step up to a new project. Explore your mental landscape and see what potential inspiration can come out. The results can surprise you. As I was finishing my thoughts on this subject, I noticed the warm glow of the morning sunrise coming over the horizon. I got my camera gear ready, and let the moment guide me to capture that beauty that was in front of me. Thank you so much for taking the time to listen to me, and I hope to hear from you soon. Take care. Hello everyone. Welcome to my tenth installments of my creative world that I call Resonance Reflection Photography. My name is Marcel Comeau, and I'm a landscape photographer based in Vancouver Island, British Columbia, Canada. Each week I post my work online for the world to see and enjoy. 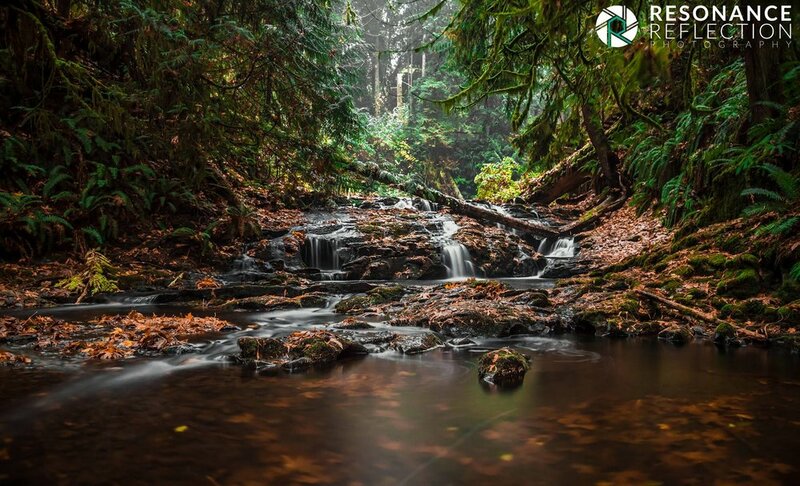 This week's photo was taken out in Goldstream Provincial Park. I came to the park in the fall season and the colors from the fallen leaves alongside the beautiful green forests bed surrounded by the thick and rich forests was a treat for my eyes and mind to enjoy. My initiative of the morning was to capture waterfall that's in the park. The last time I visited the area was in the summer where the river had run dry. The volume of water dramatically increased from my initial visit to this period of when I captured the photo. I fell in love with the dark morning lighting and the various compositions I could work with within the area. It became a fantastic way to start my day. Moments like this become imprinted in my memory. The connection I gain from the landscape, the energy I feel from the waterfall, and the overall sense of fulfillment I get from exercising my skillsets behind the camera and capturing the shots I desire become pieces of time I want to remember for as long as I can. Moments like this become a part of the legacy that I want to leave behind when my light of consciousness fades away. Thank you so much for taking the time to listen to me, and I hope to hear from you soon. take care. Hello everyone. Welcome to my ninth installments of my creative world that I call Resonance Reflection Photography. My name is Marcel Comeau, and I'm a landscape photographer based in Vancouver Island, British Columbia, Canada. Each week I post my work online for the world to see and enjoy. 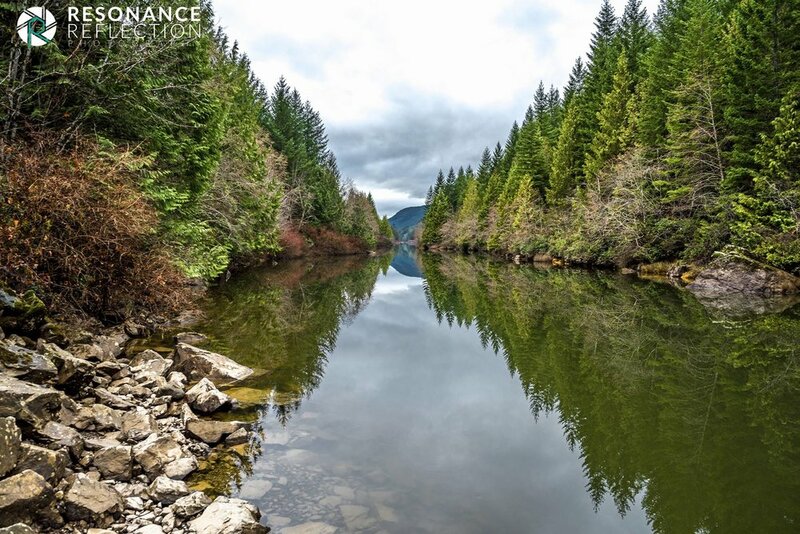 This week's photo was taken out in Nanaimo Lakes, south-west of the city of Nanaimo. I came in on an early winter overcast day, and the weather played very well with the surrounding landscape. The lakes were calm and acted like mirrors for the mountains towering in the background. One of the things I love about large natural structures like mountains is the presence and perspective it gives to the overall image. The afternoon was peaceful and provided a means to get away from all the noise i deal on a, daily basis. Taking time for myself has become a practice of mine I've given a strong focus on this part of myself for the last five years. When I face a trying period in my life, making the effort of taking a walk in the woods or sitting by a body of water seems to help clear my mind and regain a real sense of the situation I'm facing. Finding the tools to help you get through moments of adversity is singlehandedly one of the most important assets you can have. It might take time to figure out what tactics will work and what won't, but after you get a feel for effective means of creating solutions, there's no stopping the momentum you'll accumulate towards your journey. Thank you so much for taking the time to listen to me, and I hope you have an amazing day. Take care. Location: Helliwell Provincial Park. Vancouver Island, British Columbia, Canada. Hello everyone. Welcome to my eight installments of my creative world that I call Resonance Reflection Photography. My name is Marcel Comeau, and I'm a landscape photographer based in Vancouver Island, British Columbia, Canada. Each week I post my work online for the world to see and enjoy. 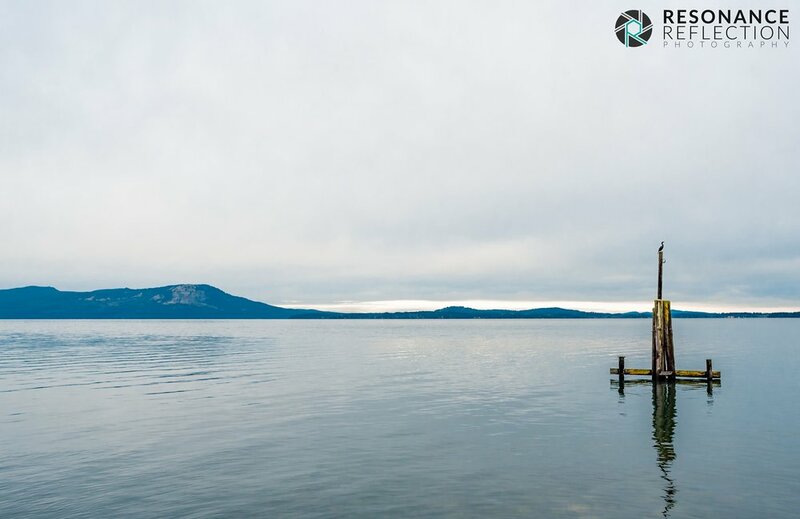 This week's photo is a taken on Hornsby Island, located off the east coast shores of Vancouver Island. The trip to get to the island is a lot of fun for someone that's spent the last decade on the mainland. You have to get onto a car ferry to get to Denman Island, drive from one end of the island to the other to get onto another car ferry that'll bring you to your final destination. The picture I took is a shot of the shoreline scenery in the Helliwell Provincial Park. It was August and the morning sunrise was rising from the horizon, giving off a beautiful glow to the surrounding landscape. The image inspired me to write about one of the most influential emotions we embody; love. The sheer power love gives out is beautiful and infectious. When we take the time to open ourselves to the people we care about the most, it can leave an everlasting impression that has the potential to carry on to other individuals. The possibilities that can grow from that point on is endless. I want to quickly say thank you for taking the time in your day to listen to me, and without any further words, let's go on with the show. Take care. Hello everyone. Welcome to my seventh (I know I said eight on the audio recording, OOPS! )installment of my creative world that I call Resonance Reflection Photography. My name is Marcel Comeau, and I'm a landscape photographer based in Vancouver Island, British Columbia, Canada. Each week I post my work online for the world to see and enjoy. 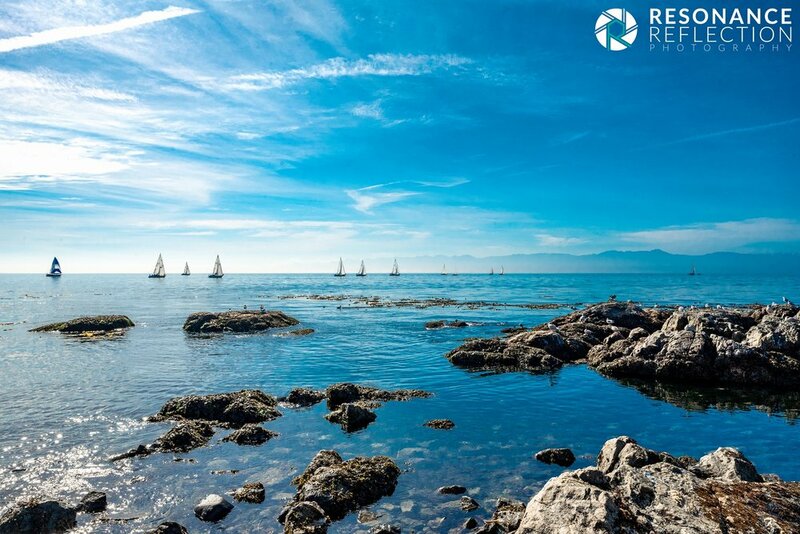 This week's photo is a shot from Sooke, a gorgeous coastal town on the south-west shores of the island. I grew up close to the ocean and having the ability to experience areas like this brings me back to a beautiful period in my life. The article accompanying the image is about embedding simplicity within our complex world. We tend to get drawn into solving as many problems within our daily discourse as we can, but most time the act of simplifying your workload and your state of life can go a long way. It's been a practice ever since I took time for myself to travel across Canada, and it has served a great deal of benefit to my overall state of life. I hope you enjoy this article, and I'll talk to you soon. Take care. Hello and welcome to my sixth installment of my adventures capturing the beauty that surrounds that is Resonance Reflection Photography. My name is Marcel Comeau, and I'm a landscape photographer based in Vancouver Island, British Columbia, Canada. I enjoy writing short articles alongside my photography. This article comes from a quick photo shoot I did in Mill Bay. It was an overcast morning with no wind in the area. The water was calm; the landscape was quiet, times like this is what I enjoy out of doing landscape photography. What came out of the experience is what I will share with you right now. Periods of quietness creates a great mindset to focus on the introspective. Without further or due, this article is called Welcome and embrace change, I hope you enjoy it. Take care! Hello and welcome to my fifth installment of my adventures capturing the beauty that surrounds us. My name is Marcel Comeau. 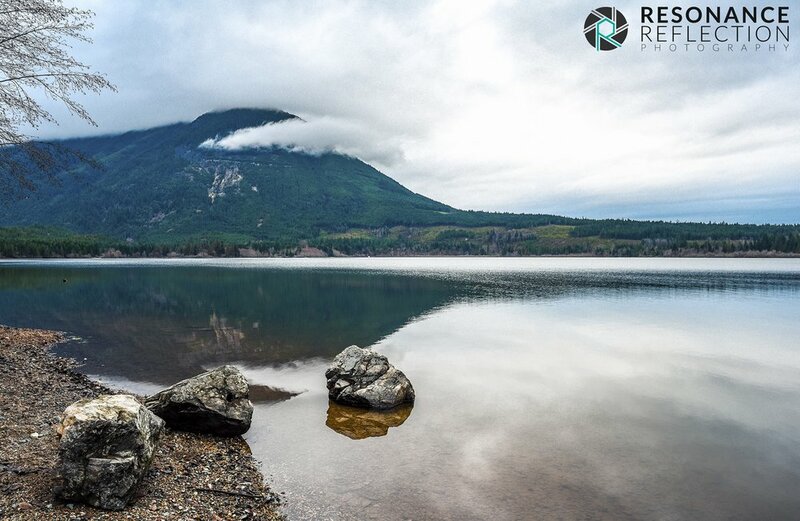 I'm based in Vancouver Island, British Columbia, Canada, and I'm a landscape photographer potentially better known under the name of Resonance Reflection Photography. I enjoy writing short articles alongside my photography. 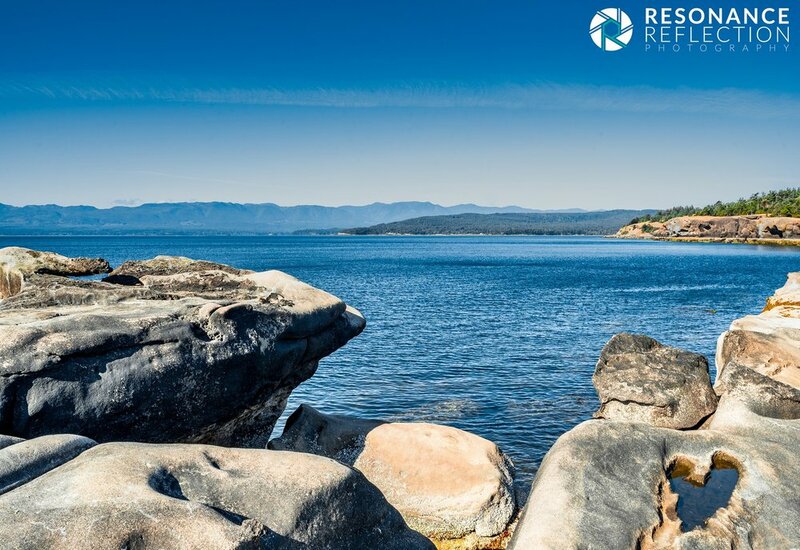 This article comes from exploring the shorelines of the city of Victoria. It was a tremendously beautiful summer day with everyone taking in the It was an overcast morning with no wind in the area. One of the eye catching pieces out of my day was the sailboats that were sailing towards the open ocean water. What came out of the experience is what I will share with you right now. Having the ability to enjoy the simple joys in life is a big deal that we tend to neglect from time to time. We need the ability to have a reminder of how important this action is within our lives. Without further adieu, this article is called "When Challenges Lie In Your Path" . Please enjoy this piece, and I'll talk to you soon. Take care. Hello and welcome to my fourth audio installment of the short articles I write alongside my landscape photography. The reminder I received from taking a photo of the Koksilal River was of the great importance of our imagination. We engage with this unique part of ourselves when we're young, but as we grow older, we tend to drift away from placing any focus on seeing beyond the present point of view. We must take time to explore our creative selves and at the very least, let us entertain the possibilities our minds can produce. Hello and welcome to my second audio entry of my short articles I write alongside my landscape photography. I took the time to take a trip out on the west shores of Vancouver Island to walk along the shorelines of French Beach. I loved how the area looked intense and moody with the overcast sky and the high ocean tide. The article that accompanies the photo is my viewpoint in regards to the creative self and how powerful it is in our lives. Enjoy the audio reading, take care, and I'll talk to you soon. Take care. Hello, and welcome to my first audio entry of my adventures as a landscape photographer. My name is Marcel Comeau, and I want to take the time to share some of the short articles I write alongside with the photography that I share to the world. These are short writing sessions that have become a form of therapy and reconciliation with the various methods I express myself as an artist. Thank you so much for checking out my work, and don't be shy to click on my website and social media services for more on Resonance Reflection Photography.